Based or created in Geneva, Paris and Zermatt, these brands and places all have a little something exceptional. Charivari is a luxurious bazaar with finds from all over the world that we fall for instantly! 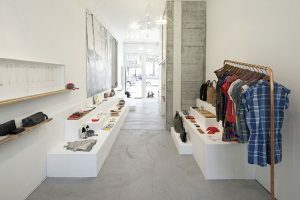 Shoes, hats, jewelry, bags and even a few clothes are all on offer in this hotspot for things trendy and sophisticated. “The Layda b. Walking with ease and grace at all times.” This fine footwear symbolizing simplicity and elegance, is designed to empower women to follow their natural beauty and authenticity. Layda b has recently begun offering delivery of these sublime shoes directly to La Réserve Genève, which shares the same values of class, individuality and discretion. 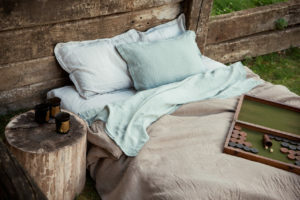 Because she wanted beautiful home textiles in linen and cotton in colors inspired by nature, Géraldine Sabran created her own Swiss brand, Oona. 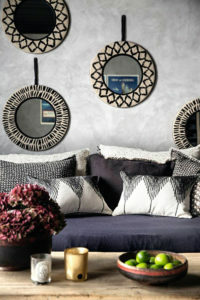 She offers a collection that gives a beautiful new meaning to the saying “as you make your bed, so you must lie on it”. One uses the best possible pen to write sweet nothings and if one chooses to do it on stylish, personalized cards, so much the better! Two Geneva sisters, the creators of Sisters Stories, produce magnificent paper which leaves recipients speechless. 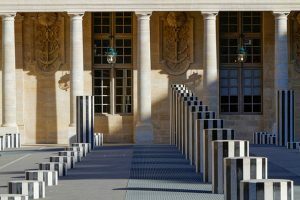 Founded in 1990 by Renos Xippas in Paris, the gallery is now present in several countries across Europe and Latin America. 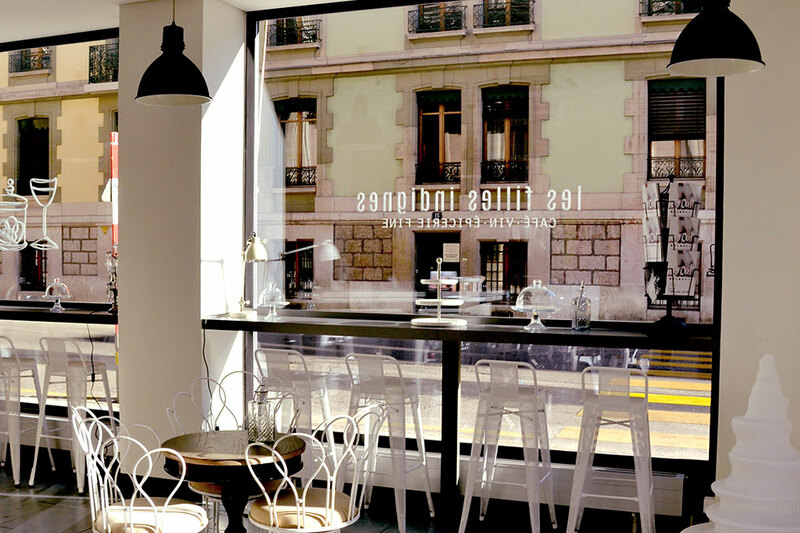 It has two locations in Geneva, renowned as remarkable places for discovering and promoting up-and-coming as well as experienced artists. 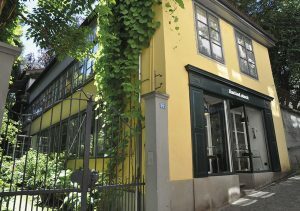 After Zurich and Lausanne which are its other Swiss locations, the Danish-born Bolia brand has set up in Geneva. 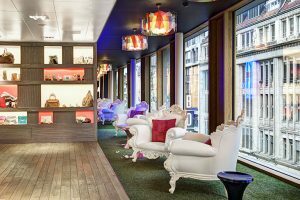 The flagship product of the House is an adaptable settee, but it also offers all kinds of furniture and decorative objects. Noble materials and minimalist designs exude a distinctly Scandinavian aura. Sandals that can be personalized with interchangeable ribbons are based on an idea dreamed up by Lorine Driot. 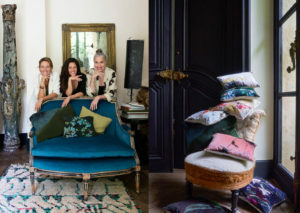 This Geneva-based designer sources her gorgeous multicolored fabrics from around the world. 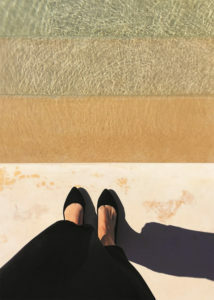 The result is irresistible and Nupié (a play on the French term for barefoot) has become a must-have for the hundred or so days of summer. 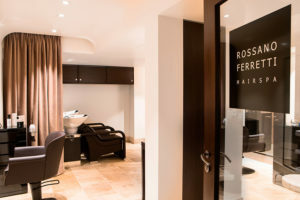 Rossano Ferretti cares for the hair of countless celebrities and is nicknamed the magician of hairstyling. His bespoke “invisible cut”, ideally adapted to each individual personality and face, takes account of every detail. Known as “The Method”, his technique is world-renowned for its miraculous way with scissors! Now here’s a gourmet concept store that’s worth knowing! 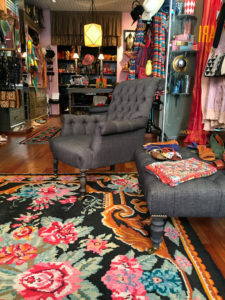 The lady of the manor, Marie Duverney offers a selection of great merchandise in a trendy, cozy setting where one can also take a seat in a comfortable armchair and enjoy a cup of tea or nibble a little something sweet or savory. This is the story of a Geneva couple who launched their own perfume brand. Memo has been a success ever since it was created in 2007 and its products are now distributed worldwide. 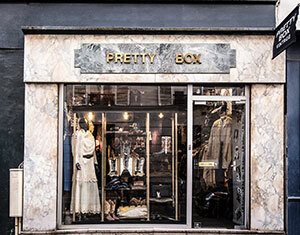 When hunting for the perfect clothes, one can’t do better than this boutique. 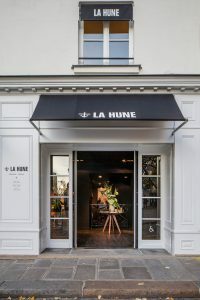 “Luxury, taste and humor” is the motto of this store, which is just bursting with magnificent, ultra-feminine garments. Fundamentally, MB&F is a watchmaking brand but it has the particularity of also offering sculptural creations and mechanical works of art with “futuristic design”, as explained by Hervé Estienne, head of the Geneva gallery. If you’re experiencing a lack of inspiration when it comes to finding the perfect toy, or desperately seeking a superman outfit or a cute decor for your child’s bedroom, we have the happy ending for you. Chez Figue, it’s not just the name that is appealing! 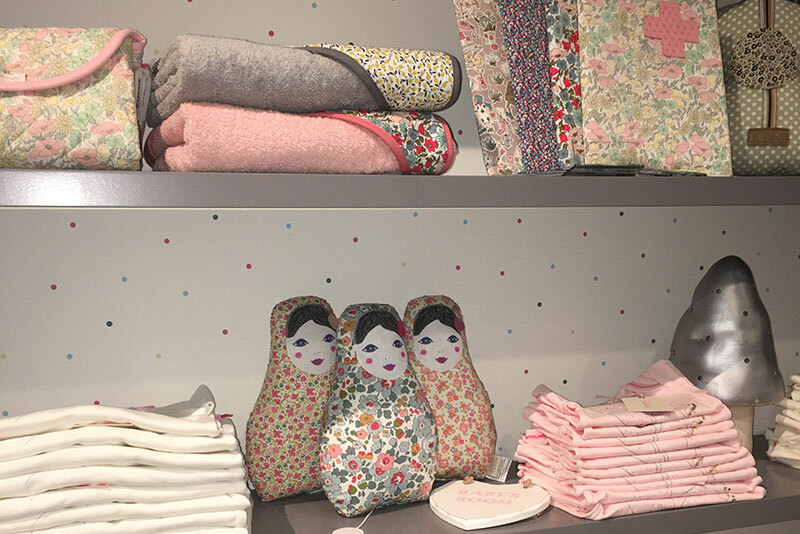 Bongénie has been a hub of fashion for over a century and offers a huge range of international brands along with a wide selection of designer corners. A highly exclusive multi-brand outlet for kids. This attractive large boutique offers clothing, toys,books, jewelry and a vast range of accessories sourced from the trendiest corners of the planet! 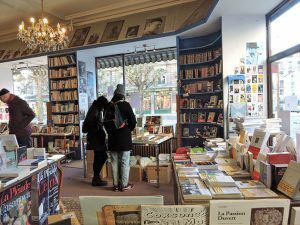 You might run into famous Swiss writer Joël Dicker along with fans of literature or curious onlookers attracted by the pull of a bookshop that stirs an instant urge to browse. A rainbow of the color pencils on which this Geneva company’s reputation has been built fill this legendary shop perched at the top of the Old Town. Clients all have at least one thing in common: a love of drawing and fine writing. Calling all cheese lovers. Owned by master cheesemakers from Fribourg, this dairy is truly the cream of the cream and offers incredibly delicious produce. And as for its fondue!!! We all dream of dream surroundings… and Deer Home is the answer! 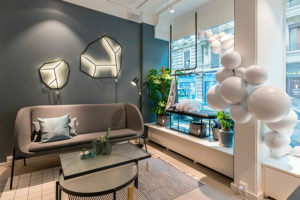 After working in Paris and London, two interior designers have set up a furniture and interior decoration shop in Geneva in the Eaux-Vives district. 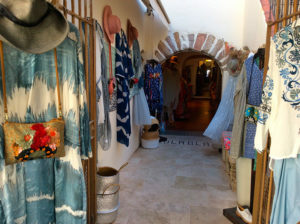 Their boutique is filled with great finds and their style is consistently interesting and appealing. On the Place du Palais Bourbon, a blue carriage door opens onto the flowered courtyard of the Atelier Renard. Since the 1930s, the most beautiful leathers in the world have been crafted by expert saddlers, who perpetuate traditional techniques. Inspired by the passion cultivated by Brigitte Montaut, visitors can join in inventing the bag of their lives! 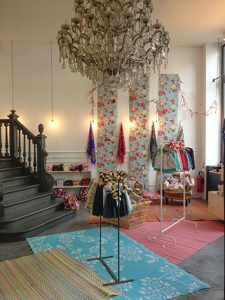 Merci – (Thank You) is the name of the first Parisian charity store launched by Marie-France Cohen and that’s what we should be saying to her after all the innovative concepts she has created. She is also the brains behind the Bonpoint children’s brand with 80 boutiques across the world. Marie-France Cohen is an inveterate trend hunter. 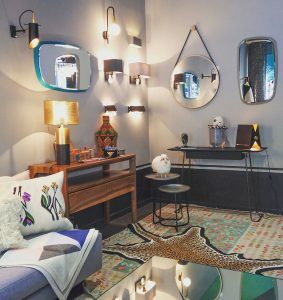 Her latest initiative is the opening of “Démodé” (Out of Vogue) which sells a selection of cutting-edge beauty, household and fashion objects. 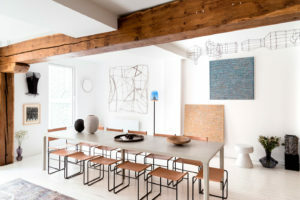 Amélie du Chalard has inaugurated a new gallery concept, exhibiting artworks that are all for sale in two apartments in Paris and London. 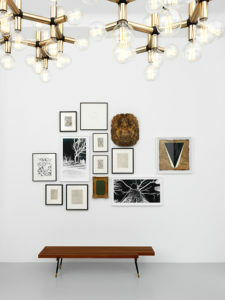 Local and foreign artists reveal their work in a chic and unexpected environment. A fresh, relaxed and highly colorful style by Lebanese fashionista Mira Mikati with her breathtaking talent and fondness for designing models and telling stories. Her brand is fun, pop-inspired, often playful and furiously distinctive. 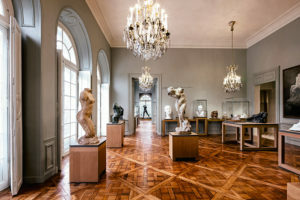 Set up in a magnificent 18th century urban mansion, the Rodin Museum presents an impressive collection by the artist, as well as by members of his entourage such as Camille Claudel. The Museum is also distinguished by its 7.5-acre garden and its temporary exhibition room. 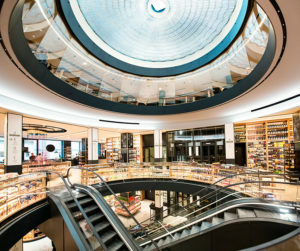 Previously, grocery shopping in the ultra-high-end supermarket known as “La Grande Épicerie” meant going to the left bank. But that was before a 2,600 sq.m. 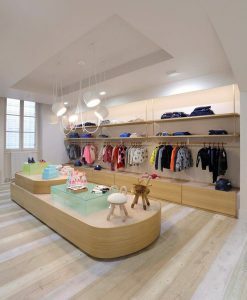 emporium located at the heart of the 16th arrondissement was opened. 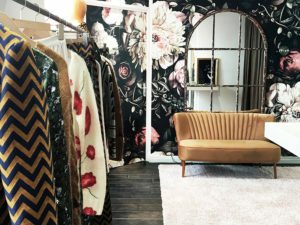 In launching her own brand, French fashion designer Alix Petit has successfully combined rock-chic and romantic styles. This globetrotter draws inspiration from her many travels in creating her apparel and the boutique is a real little gem in itself! Almost 20 years ago, Karl Lagerfeld founded a bookshop in the 7th arrondissement of Paris. 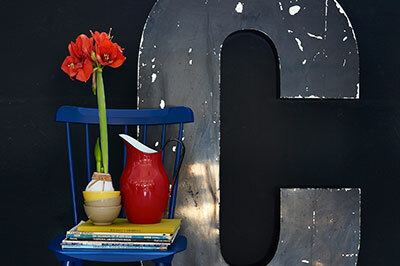 Specializing in books dedicated to photography, design, interior design, landscapes and fashion, the place is every inch as chic as the man who created it. 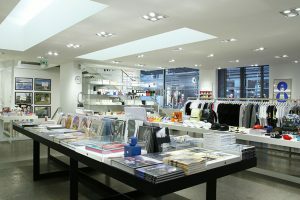 The original concept store. 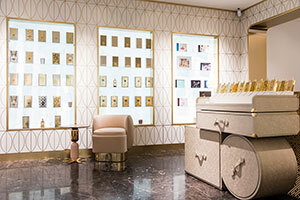 Opened in 1997, this luxury 700 m2 boutique has become a worldwide legend. Alice Balas creates tailormade clothes from top-quality leather and numbers every item. Kate Moss wears jacket number 85, Lou Doillon the 101, Caroline de Maigret the 158... For all those seeking something to wear that is unique, iconic, timeless and exceptional. 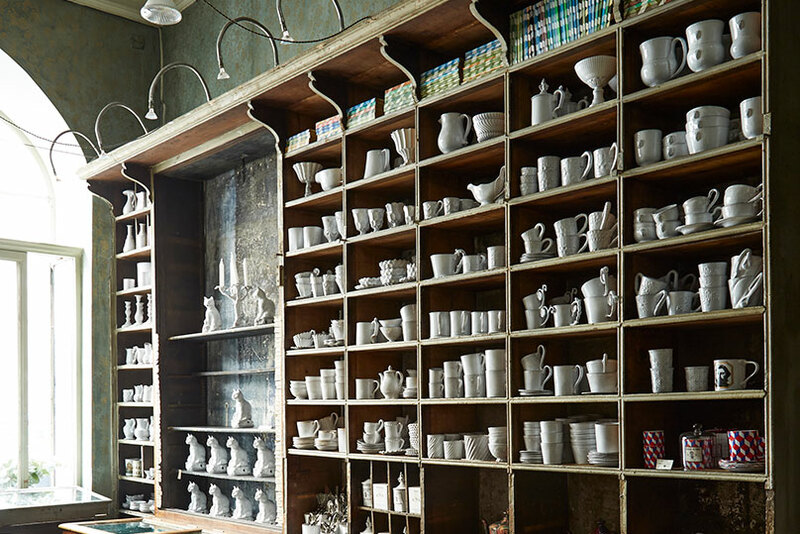 A designer of white ceramic, furniture, clothing, candles and other objects imbued with old-fashioned charm, Astier de Villatte offers the stuff of dreams along with beautiful or original objects. 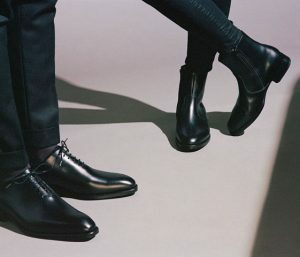 The brand has built its reputation on its creations manufactured in its own workshop in Paris. This hair care brand with a quirky name meaning “Wasps and Butterflies” offers accessories such as combs, brushes and extremely high-quality, sophisticated clips. All products are handmade and can be engraved with anything in the alphabet. 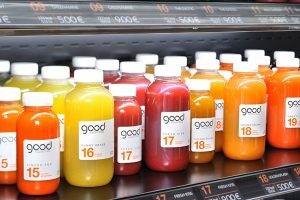 To enjoy an energy boost or simply rehydrate, don’t miss a stop at the Good Organic Only juice bar. 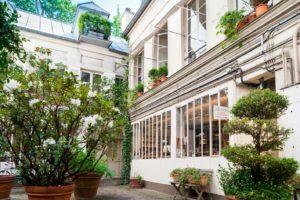 Former Miss France, Mareva Galanter and micro-nutritionist Valérie Espinasse have opened a new well-being spot right in the French capital. 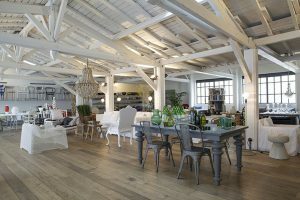 1500 m2 of spectacular space devoted to fashion and home decor. An eclectic range combining everyday and precious objects for wearing, exhibiting or using, all endowed with a subtle touch of originality. 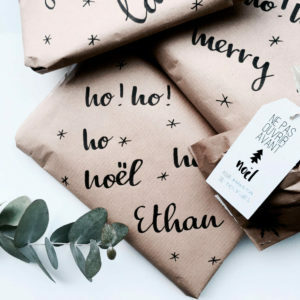 The success enjoyed by this kid’s brand stems from its fun, enjoyable atmosphere combined with classical and seasonal models, all made with brightly colored fabrics and exhibited in tastefully decorated surroundings. 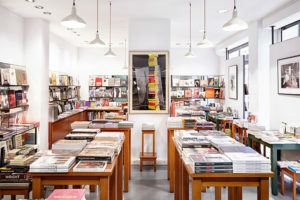 This bookshop-gallery in the Saint-Germain-des-Près district is devoted to photography. It also offers rare items as well as autographed limited edition art works. . Opened in 1852, the Bon Marché is considered to be the world’s first ever department store. Over the years, the concept has evolved and it has become a benchmark. 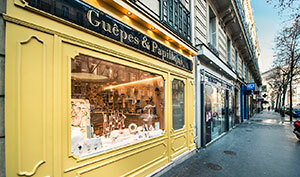 It offers virtually everything and La Grande Epicerie – a kind of luxury supermarket – is an essential address for gourmets. he gardens bordered by the Montpensier and Valois galleries. The shopping is as sophisticated as it is royal. 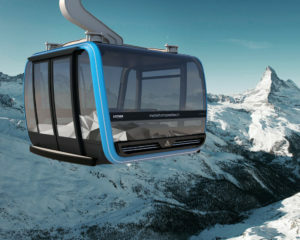 The highest cable car in the world is in Zermatt. Reaching a height of 4,000 m, this state-of-the-art skilift offers an extreme nine-minute ride with an incredible floor that turns transparent during the trip, thus affording an exceptional view of the glaciers. When in the mountains, think Alpine clothing! Yosemite is a boutique dedicated to equipment. 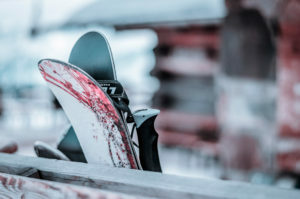 Located in the middle of the resort, the shop offers a wide range of down jackets, beanies, scarves and other winter sports’ items. 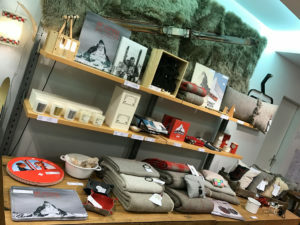 A love of mountains is the simple reason that this concept store opened its doors in Zermatt in 2016. It sells decor and design objects, children’s toys, fashion accessories, books and delicatessen products, all the result of Alpine creativity. 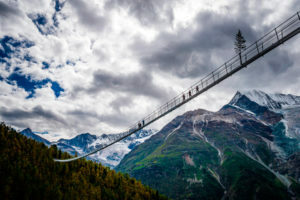 Zermatt is unquestionably the town that breaks all records, since it also has the longest footbridge in the world! Called Randa, it connects the towns of Grächen and Zermatt, is 494 m long and 65 cm wide and spans an 85 m ravine. Not for the fainthearted! This well-known name in the resort village has been in operation for 40 years and there are now several boutiques bearing the same name. Each has its own specialty: fabrics, decorative objects, furniture, fragrances, household linen… Customers are spoilt for choice. With its resolutely Tropezian style, Marinette is definiteily well worth a visit. Everything has a gypsy touch here! There are chic or casual one-of-a-kind models from Australia to Sweden designed to make you love summer even more. This 35-year-young boutique has its loyal fans who flock from around the world to view its annual selection. 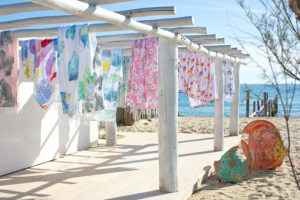 A must-see location in Saint-Tropez for anyone with deserving children! 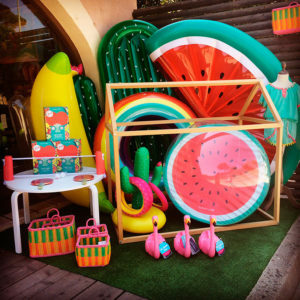 Brimming with toys, gadgets, beach items, clothes and trendy decorative objects, the Happy Libellule boutique is never short on beautiful ideas to thrill kids! The people at Taman Antik are passionate about interior design and it shows! In this beautiful place that also provides ideas for garden arrangements, various atmospheres are on display and bohemian meets contemporary in a delightful combination of styles. The team also offers a turnkey interior design service. 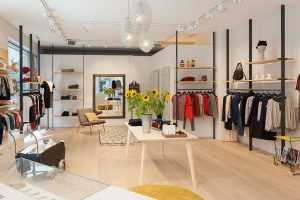 Now here’s a not-to-be-missed shopping “hot spot” in Zurich with men’s and ladies clothing, accessories, books and even furniture, all hand-picked to feature only latest “must-haves”. Two young designers who recently graduated from their design school in Geneva have launched a range of highly original, streamlined leather bags. Both unique and numbered, these models are pretty much irresistible. 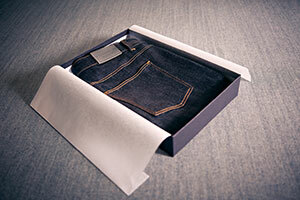 We’ve all had plenty of jeans, but maybe not the tailormade variety! Nothing could be simpler than ordering a totally unique pair from the comfort of one’s own home. Established in Zurich, this brand has found a niche designed to make us look better! 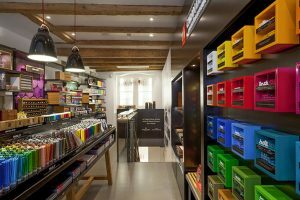 A very trendy stationery store recently set up in Zurich. The ultimate designer objects offered by this resolutely modern place are an inspiration for anybody with a thing for pens. 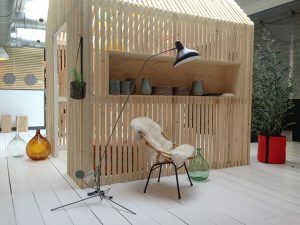 Walter offers unique items as well as its own range of furniture displayed in a 450 sq.m. showroom. 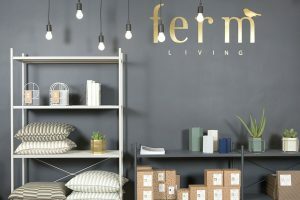 Open since 2011 and set up in a former print works, this concept store is a benchmark in the realm of furnishing and interior design. The three boutiques that belong to this fashion brand cater for ladies, men and kids alike. Come and browse for rare pieces and explore fashionable designer collections. The flagship Freitag shop in Zurich is as unusual as its bags. With their cult status and urban allure, the latter are made of recycled truck tarpaulin. And the company headquarters make a head-spinning sight! 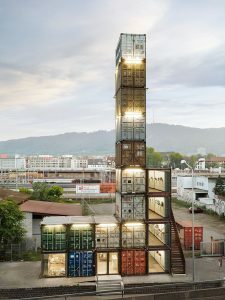 This incredible and entirely original construction is 26 meters high and built from containers piled one on top of the other! This store offers an impressively sophisticated selection. Laurence Antiglio is an outstanding and passionate “personal shopper” who loves giving advice and recommending her excellent choices in the realm of fashion! Be it for gifts or as a treat for oneself, Limited Stock is bursting with good ideas and irresistible objects selected by the two creators of the concept: sculptor Hubert Spoerri and interior designer, Ulrich Zickler. This is the story of a brilliant and determined individual who was raised in Lyon within a family that told her textile stories and fairytales in equally generous measure. At the age of 20, Terry de Gunzburg gave up her medical studies to enroll at art school. Meanwhile, she spent some time with the Carita sisters doing a make-up internship… and her fate was sealed. Between the many studios and catwalks, she met Yves Saint Laurent with whom she worked for 15 years. In 1998, she created her own brand, By Terry, an international reference in the world of make-up.